It wouldn’t be the holidays without a Cyber Monday deal to look forward to. With our partners It’s On Me, you can purchase a digital certificate and gift it to anyone, from anywhere in the world. Spend $100 today and receive a $50 bonus for yourself or to send as another gift. Click HERE to start shopping today. 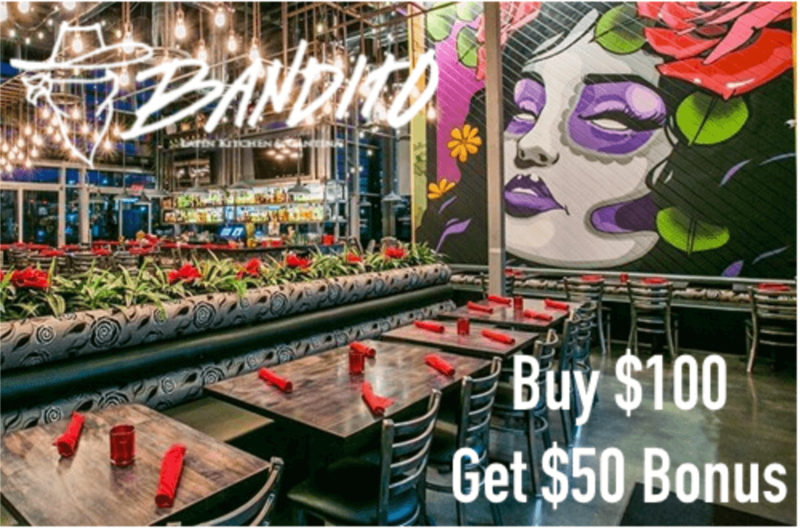 ← Black Friday Gift Card Sale at Bandito: Spend $50 and get $100 or spend $500 and get $1000!